Nalle Colt...Gibson Hist. Coll. 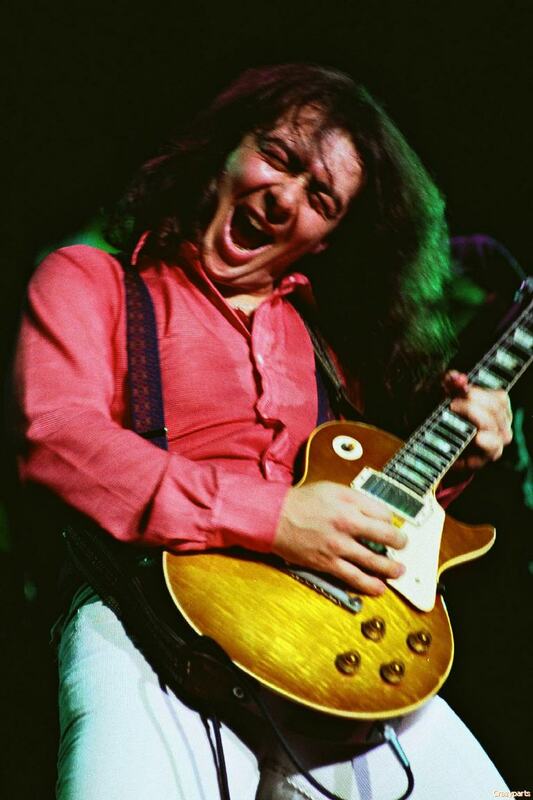 with Area59' PAFs True Vintage sounding Humbuckers and P90...for reasonable price! - Wound the old fashioned way, hand made by real people that have pride in what they do. - Something special that isn't machine cloned and can't be created by a clever marketing campaign. That humanity you get from one person, winding one pickup at a time, is what we think "Mojo" is. And if we're honest, most of the vintage pickups were good, some of them were awful. But a few, a fated few were great, truly outstanding, because they had that certain something that you can't quite put your finger on, that extra 0.01% thatmakes the hair on your neck look to the stars. These are made with correct parts including the Plain enamel wire, custommade alnico magnets and the all black leads are correctly configured according to original PAFs we own. 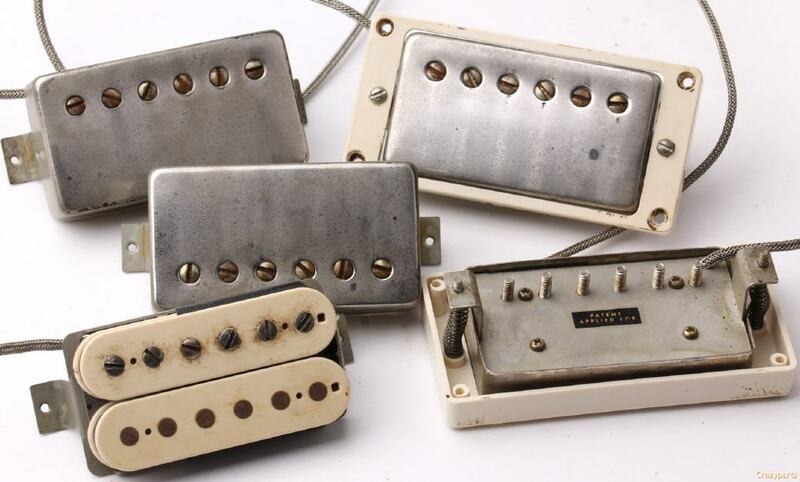 All pickups comes with custombuild long Alnico V magnets for the real Vintage tone. 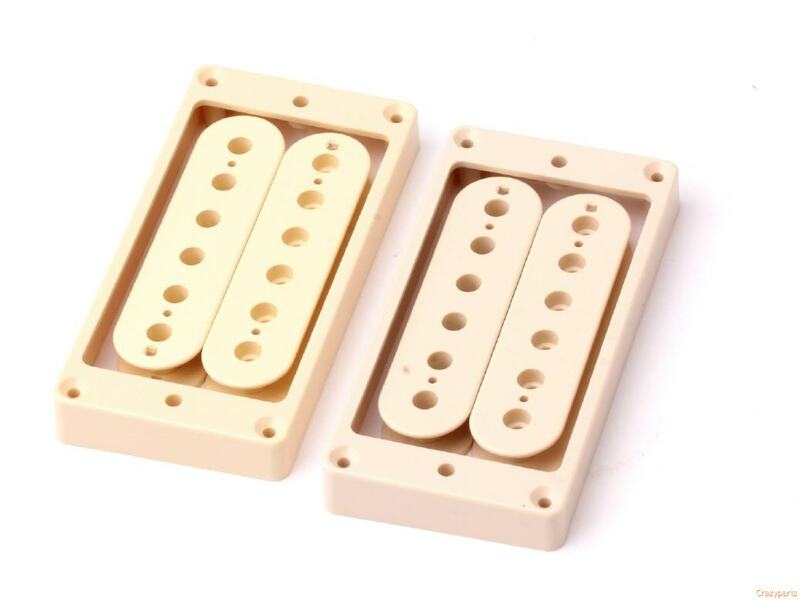 We use 2 different kinds of A5 Magnets for Bridge and Neck which makes a huge difference in tone. Nice Special Square Windows at the correct position at both sides! Vintage Correct 2-Strand Braided Shieldwire, Vintage Correct PAF Base, Brass Bobbin Screws Vintage style PAF sticker and last but not least, Vintage correct "Cheesehead Polescrews! Bobbins are Custommade for Crazyparts and matching the org. 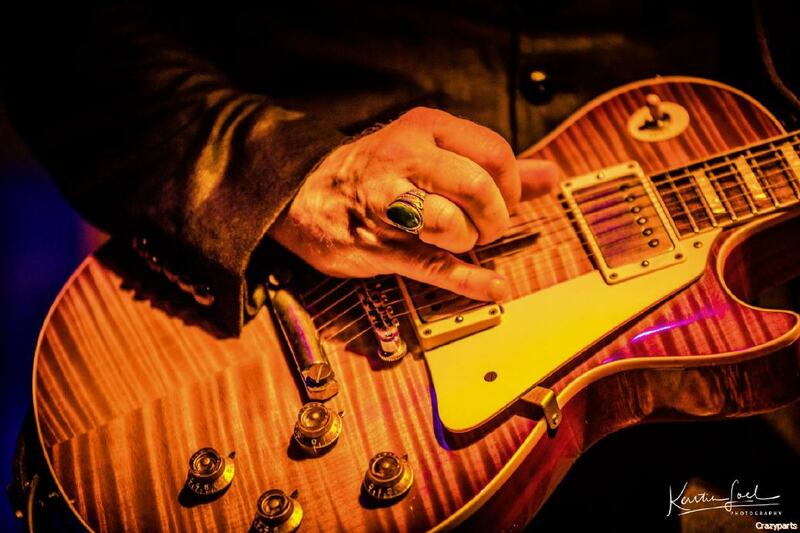 ol Gibson PAFs. We have access to a selection of org. Les Paul, SGs, ES so we know how those old instruments can sounds and proud to say our Area59' PAFs are really really close! We are proud to offer Matching parts Matching CAB rings and Bobbins...different COLORS! YOU LIKE IT AGED? No Problem! Not just one of the best looking PAFs... ...if you looking for a real Vintage sounding PAF your search ends here...BTW. without spending 500bucks and more! ...we meet Bernie first time 4/5 October 2014 at the Copenhagen Guitar Show. Bernie walked in and felt in love with my DJ 59' Burst...he told me that he never saw a better retuning with this stunning look of an old 59' Burst. 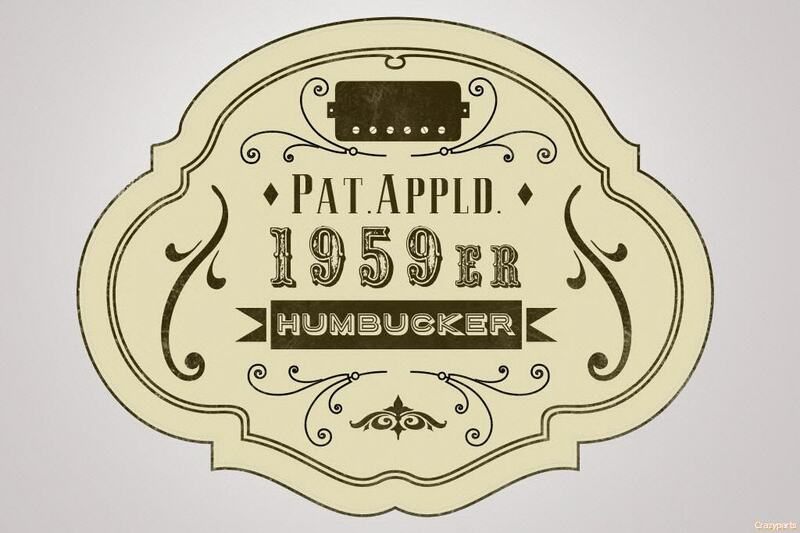 He played "Barfly" and was amazed about the sound of the Pickups, just in this second I became the idea of a Signature PAF for Bernie and the name was there also in my mind...."THE BEAST BUCKER" would be the coolest name for his PAF since his famous 59' Burst called "THE BEAST". Exact 1 year later, after lot of reseach and testing, checking details of Bernies org. PAFs and finding the rigth components, we are proud to introduce "THE BEAST BUCKER". Bernies Signature Pickup is close to the old Burst PAFs that breathe the Famous "Burst Tone" into your modern build Guitar. 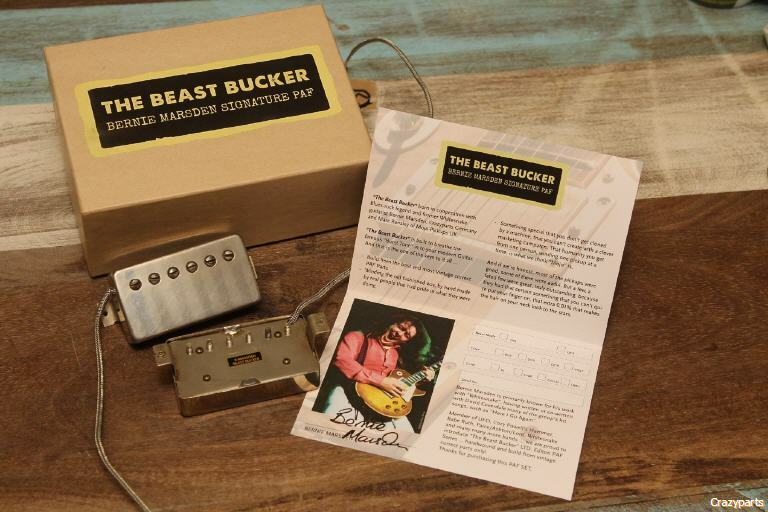 "THE BEAST BUCKER" Vintage Version is build only from Vintage correct Parts, incl. correct alloy slugs and custommade "Cheesehead" Polescrews all those Parts are "Made in USA" , the magnet of this PAF is custommade (we analyzied an old PAF Magnet and find out the components they are made from) All Parts and Sets will be prepared here at Crazyparts when we get it from the USA first, the ageing process is very complex, ageing Bases, Bobbins, Screws etc. , then the parts prepared for the next step of the production and sending to Marc Ransley for winding. After the winding process and mounting they send back to us for final ageing, adding stickers, final check and packing for final sale. All Pickups are wind the old fashioned way by real people that had pride in what they were doing. This is one of the secrets and something special that you don't get cloned by a machine, that humanity you get from one person, winding one pickup at a time, is what we think "MOJO" is. All Beastbucker Sets is numbered and came with a handsigned Certificate of Bernie. The first 100 Sets are LTD Edt. with the famous aged DMC Covers... for sure all Sets came Numbered and with a handsigned Certificate...Don't miss the chance to buy a collectors item of tomorrow and for sure a great sounding PAF! We will offer a Special LTD. Edition of 100 Sets Double Black Coils, Fully aged (incl. Aged Base) and Signature PAF Sticker with aged Area59' Covers, Each Set comes with Numbered Handsigned Certificate of Bernie along with a Beastbucker T-Shirt and Sticker.